With our new album in the works and a crack team of music professionals on board to help with the release, McTuff has put together a busy summer of performances at festivals and venues to stir up some buzz. 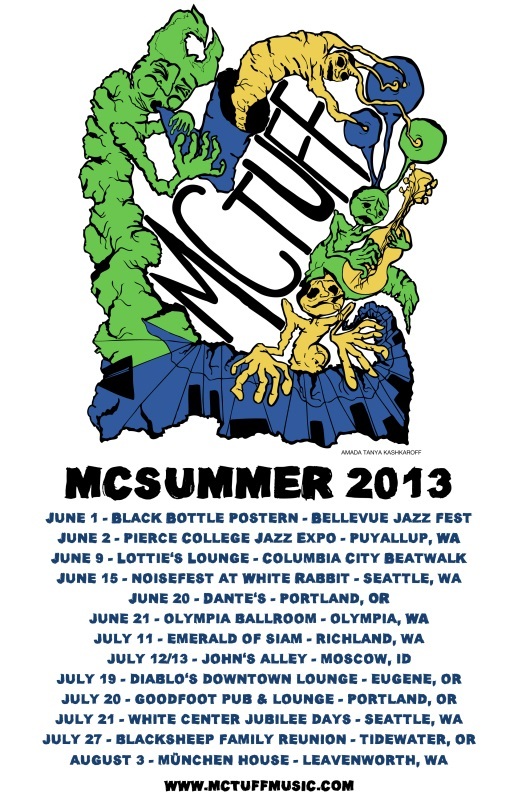 June brings shows at the Bellevue Jazz Fest, Pierce College Jazz Expo, Columbia City Beatwalk, Olympia Soulstice Celebration, and venues all over the northwest, with more coming in July. I’ll also be looking forward to a great Hardcoretet show at the end of the month featuring another incredible band, Industrial Revelation.